PARSIPPANY — It all began in 1967. As legend goes, Oscar Riedener, vice president and design director at Tiffany & Co., sat down for lunch with NFL Commissioner Pete Rozzelle in New York City, and made a sketch on a cocktail napkin. The two men started a collaboration that would last more than 50 years and one that would create the most coveted trophy in sports history: the Vince Lombardi trophy. The first trophy was awarded on January 15, 1967 – 52 years ago. 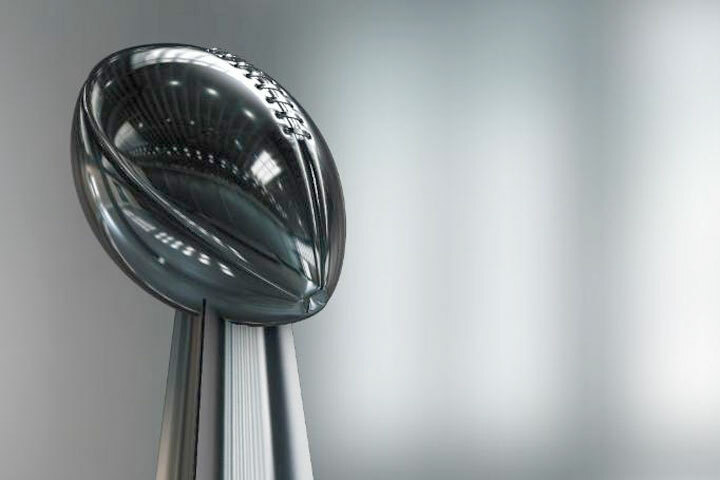 The winning team receives permanent possession of the Vince Lombardi Trophy, a sterling silver trophy created by Tiffany which is presented annually to the winner of the Super Bowl. The original trophy was produced by Tiffany in Newark. Tiffany’s Parsippany location manufactured the Trophy from 1967 to 2016. Starting in 2017 the trophy is produced at Tiffany’s Forrest Hills manufacturing facility in Cumberland, Rhode Island. The Vince Lombardi Trophy was on display in the Parsippany-Troy Hills Municipal Building, during Mayor Mimi Lett’s term. The trophy was named for the late Vince Lombardi before Super Bowl V. The trophy is a regulation-size silver football mounted in a kicking position on a pyramid-like stand of three concave sides. The only company Rozzelle contacted was Tiffany, which brought in the company’s design chief, Riedener, a native of Switzerland who knew nothing about football. Reidener went to FAO Schwartz and bought a football that he put on his kitchen table. The next morning he grabbed a box of Cornflakes, poured them into a bowl, and stared at the football while eating. Upon finishing his Cornflakes, he took a pair of scissors, started cutting the empty box, and transformed it into a trophy base atop which the football could sit. Over lunch a couple of days later with Rozelle and a delegation from Tiffany’s, Riedener drew a sketch of his design on a cocktail napkin. Rozelle liked it and it continues to be the design of the Lombardi Trophy over 50 years later.